Hiroshima is a decent place to see Japan’s famous fall foliage, and the nearby island of Miyajima is a fantastic place to enjoy the colors. Here, I’ll introduce the best foliage-viewing spots in Hiroshima and Miyajima. When Is Fall Foliage Season In Hiroshima And Miyajima? In an average year, the leaves start changing color sometime in October in Hiroshima and Miyajima. The peak of autumn color usually comes in mid-November, and you can usually see colors on the trees until mid-December. Thus, in an average year, the foliage season in Hiroshima and Miyajima lasts from 15 October to 15 December, with a peak around 15 November. Here is our list of the best fall foliage spots in Hiroshima. For more details on these places, visit our Things To Do in Hiroshima and Miyajima page. 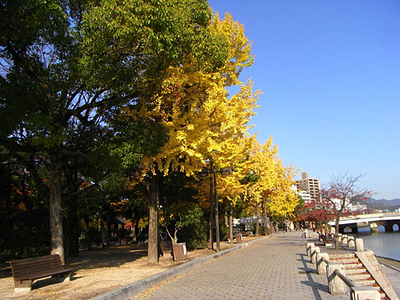 Peace Memorial Park: The Peace Park is filled with beautiful trees, including some wonderful ginko trees that turn bright yellow in autumn. The banks of the river are also lined with trees that turn color in autumn. Hiroshima Castle: The grounds of Hiroshima Castle are studded with wonderful trees and this is a great place to enjoy the colors. Shukkei-en Garden: The best place in the city to enjoy the fall foliage is in this spacious garden. It’s a soothing place to escape and reflect after visiting the Peace Park. Here is our list of the best fall foliage spots on the island of Miyajima. 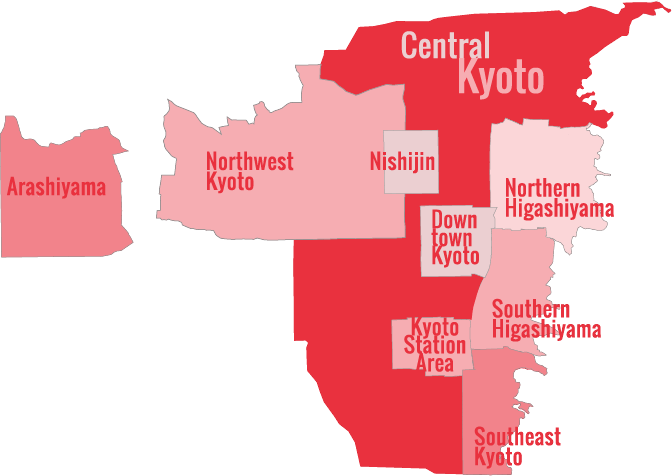 For more details on these places, visit our Things To Do in Hiroshima and Miyajima page. Momiji-dani-koen Park: The name of this park means “Maple Valley Park,” and like the name suggests, it’s filled with maple trees that turn brilliant crimson in a good foliage year. This is the best place on the island to enjoy the colors without having to hike very far. Daisho-in Temple: The steps up to this temple and the grounds themselves are filled with maples and other trees that turn color in autumn. This is a great place to combine culture and natural sightseeing. 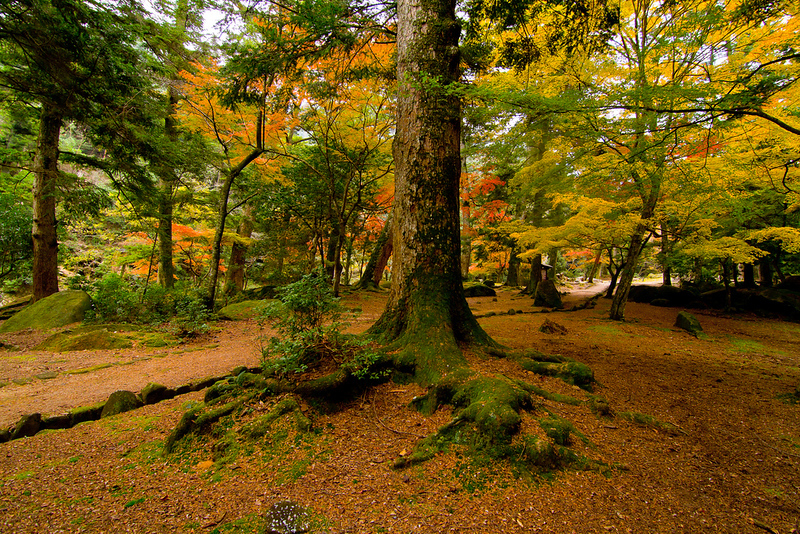 Mt Misen: The slopes of Mt Misen are covered with maples that are absolutely spectacular in autumn. The easy way to enjoy the colors is to take the cable car up and then walk down.